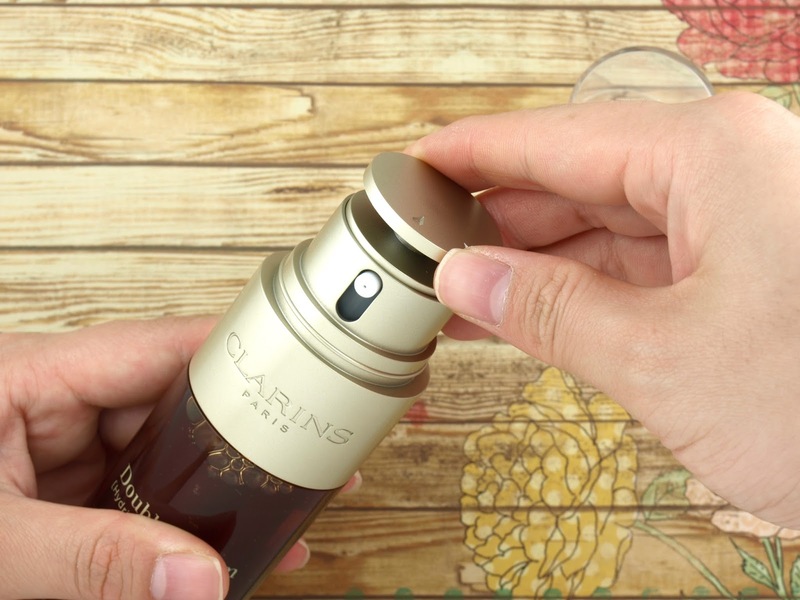 Because the Clarins Double Serum contains both a water phase and an oil phase, its bottle has two separate compartments. The new 2017 packaging has the lipidic phase housed in the center core, separated from but surrounded by the hydric phase. Each squirt the push-button delivers contains one-third oil-based ingredients and two-thirds water-based ingredients. Another new feature of the revamped bottle is the adjustable dial system. The press button can be turned to customize how much product comes out. There's a setting for normal to dry skin or cold climates (more) and there is a setting for normal to oily skin or hot climates (less). The packaging looks really luxurious and high-tech but I do have one small critique. The pump dispenser is surprisingly powerful so each squirt kind of splashes a bit if you aren't careful. I sometimes end up wasting a couple of tiny droplets, which really breaks my heart given that the serum isn't cheap. With extracts from 20 powerful plants including banana, mango, cocoa, goji berry, milk thistle, avocado, quinoa, and oats, the new Clarins Double Serum is now formulated with the extract of turmeric. A potent ingredient that aids in cell communication, turmerone boosts the serum's five vital functions: hydration, nutrition, oxygenation, protection, and regeneration. As you can clearly see in my photo below, the serum contains two distinct phases that need to be mixed between the palms before massaging onto the face. I've originally had the customizable dial set to the smaller amount since I have pretty oily skin. However, I just don't find it to be enough to cover even half the face. The formulation is quite oily and rich and once applied, it quickly clings to the skin, preventing a nice and even spread. I find that I need at least a couple of pumps on the higher dial setting to cover my entire face. 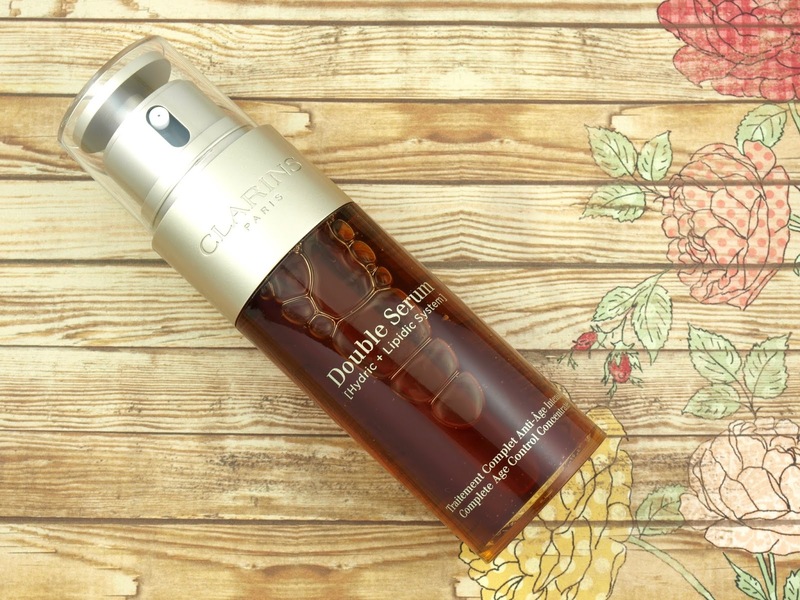 Although it's bi-phased, the texture of the Clarins Double Serum is greasier than most face oils I've tried. The product may not look very thick or viscous when first dispensed, but it feels surprisingly heavy when applied. 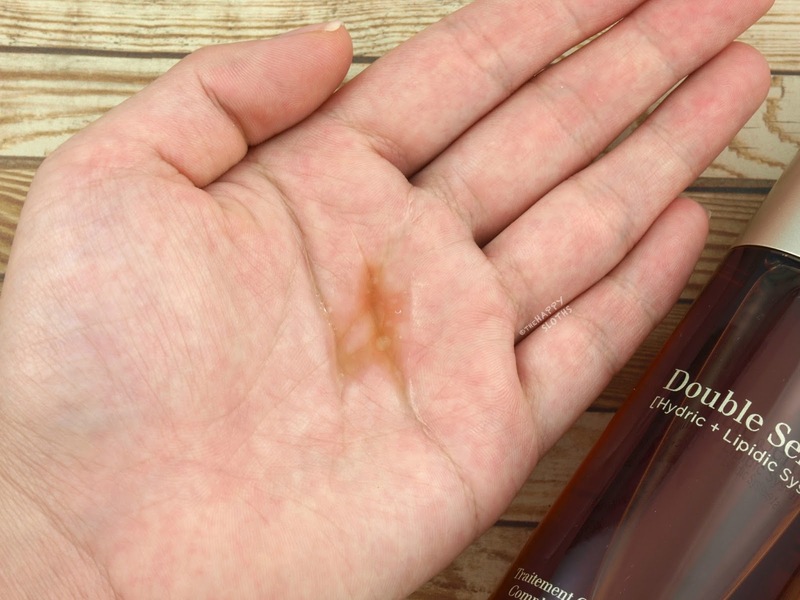 There is a noticeable oil slick immediately after application and the serum never seems to fully absorb. Therefore, this is not something I would personally recommend for oily or combination skin. With that said, the product does have the most unique and beautiful fragrance that I just can't get enough of. 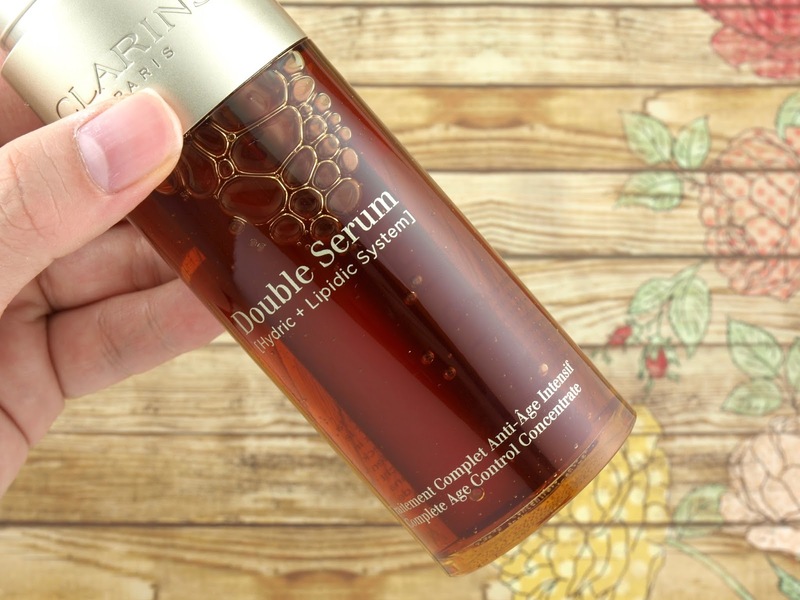 In terms of efficacy, the serum does seem to make my skin look better and healthier. When I wake up in the morning, my face feels nicely conditioned and visibly brighter and plumper. Overall, though, this is not my favorite Clarins product. If you have dry and mature skin that's in need of something a bit heavier for the night time, then I'd definitely recommend checking this out. However, if you have oily or combination skin, I'd recommend checking out the Clarins Booster drops, which are just as effective but without the heaviness!